Hi, I am Medievaldragon. I had the opportunity to visit the Blizzard Entertainment Headquarters to play the Starcraft II: Wings of Liberty single player campaign. I barely played through six missions, but I can tell you it was an AWESOME experience from a lore nerd point of view. After hours playing the game, I asked Chris Metzen, Blizzard’s senior vice-president of Creative Design many questions about the single player and its relevance with the printed media such as the novels, manga and comic book. Here is our interview coverage with Chris Metzen. I was playing the single player, and I saw something very interesting. The mission is titled Tooth and Nail. It is set in the protoss shrine-world Monlyth. I noticed these protoss are the Tal’drim tribe, which is interesting because this is the name of the tribe in Starcraft: The Dark Templar trilogy by Christie Golden—shown in book two: Shadow Hunters. The Tal’drim in this book are however known as The Forged. They were among the protoss who were abandoned and left behind during the Invasion of Aiur. Most of the protoss evacuated through the warpgate to reach Shakuras, and to avoid zerg from reaching Shakuras, they sealed the gateway leaving behind many protoss to their own fate. Jim Raynor and Fenix stayed behind to make sure the Zerg wouldn’t reach the gateway. These protoss survivors were deeply affected emotionally reliving their abandonment by the Xel’Naga, left behind to despair. Their faith in the Khala was affected, and they eventually rejected the sanctity of the Khala. The Tal’drim survived thanks to a mysterious patron who protected them from the Zerg, deep in the forbidden caverns of Aiur. This patron granted the Tal’drim known as The Forged a special drug named Sundrop which inhibits chemically the Khala without cutting off their head appendages. In short, the Tal’drim are effectively blocked from their psychic commonality with the other protoss survivors in Aiur known as Those who endure, and are unable to read their thoughts. It’s as if the Tal’drim had devolved to be like those protoss from before the Aeon of Strife, before the Khala was taught by Khas. My question to you is, Are these other Tal’drim protoss in Monlyth also under the influence of Dark Archon Ulrezaj? Metzen: How do I answer that. Are the Tal’darim influenced by Ulrezaj?. That’s still playing out. To some degree it’s the same group, but the group might be larger than what you saw in SHADOW HUNTERS specifically. In the first two missions set in Mar Sara, players have access to the Joey Ray’s Bar and can interact with Jim Raynor who is drinking. There is a piece of newspaper attached to the bulletin board on the wall and you can interact with it. It says the Zerg has returned to invade the fringe-worlds and Emperor Arcturus has recalled the Terran Dominion forces to return to the core-worlds, leaving the fringe-worlds to fend on their own. Jim Raynor heard the call for help, and rescued 800 civilians, including an orphan girl, from a place known as Meteor Station – a Kelmorian Mining Post. The lore fan-spider-sense in me tingled wildly. This is quite interesting, because the only place the fans have ever heard of this place: Meteor Station, was in the short story by Grace Randolph titled Last Call. This short story is from the Starcraft: Frontline Volume 3 by Tokyopop. Are we going to meet some of these characters, locations and plots from the mangas in the Single Player? Metzen I think in general with the novels we’ve been doing recently with Christie Golden and definitely a lot of the manga short stories we’re definitely trying to season the game and the ancillary fiction with as much ideas, either in cross-pollinated ideas as possible. We always like taking little hooks from one thing or another and translating into those different medium stories. It just feels a little more contiguous ultimately. It’s kind of interesting that these names and these ideas are being leveraged across the board. So I think with the Tal’drim specifically there is definitely a tie there to the events happening in the Dark Templar trilogy but it’ll probably play itself out on a much longer basis. I am definitely loving all these lore references found throughout my single player hands-on experience, While in the Hyperion, I visited the Cantina Room and met Mr. Graven Hill, the local black market pirate. Jim Raynor can hire different Kel-Morian mercenaries from him to help you in some of the tough missions for a price. This really excites me for a very good reason. I am a subscriber of the Starcraft comic book by Wildstorm comics. As it stands, in the comic book, the War Pigs are working for the Terran Dominion, and they have been ordered to hunt down and kill Jim Raynor. However, I am guessing that at some point if the Terran Dominion abandons the War Pigs to the Zerg like they did with General Duke, and Sarah Kerrigan, and like they are doing in the present with the fringe-worlds, the War Pigs might take a turn and join the rebels as mercenaries. Are we going to eventually hire the War Pigs in Starcraft II at the Cantina? Metzen: Interesting, will we meet the War Pigs in StarCraft 2? I think, as it stands, they don’t make an appearance in Wings of Liberty specifically. But we’ll keep it in mind, because we’ve been enjoying where the comic series has been going and there’s potentially a lot of rich characterization there so we’ll see down the road. During my tour through Blizzard’s Starcraft II offices I saw on the wall a poster of various character animation portraits that will be used in the game’s interface. I saw Starcraft: Ghost’s Nova’s portrait. I also saw Gabriel Tosh in the mission titled Mining Your Own Business set in the planet Redstone III. I am psyched to see this character too because he is going to appear in the Pocket Books novel titled STARCRAFT: GHOST SPECTRES by Keith DeCandido on sale March 30, 2010 and he also appears in the Tokyopop manga titled STARCRAFT: GHOST ACADEMY on sale January 1, 2010. I also saw Reporter Kate Lockwell in the single player, a character that also appears in the STARCRAFT: FRONTLINE manga. Are we going to see Nova and Colin Phash (the telepath boy)? This boy was introduced in the short story War-Torn in the Starcraft: Frontline Volume 2 and 3, and has been confirmed to appear in Starcraft: Ghost Academy too. Since we are seeing Gabriel Tosh from that manga in the game, are we going to see Colin Phash in the single player? Metzen: I’m not as sure about Phash making an appearance in the game specifically but I think we’ve said before Nova’s certainly a character that is near and dear to us and we’ve got plans for her [in] the Ghost Academy manga and the upcoming novels Spectres as well. So, yea, we’ve worked a little cameo of Nova in but I’d had to give away exactly how she plays into the story. It’s pretty cool [and] it’ll feel worthy for those fans of the character that never actually got to play her in her own title. During my single player hands on experience I read in a piece of newspaper the name Michael Liberty. That really intrigued me. This is the same reporter who debuted in the Pocket Books novel Starcraft: Liberty by Jeff Grubb. He has made a few cameos in Starcraft: Queen of Blades by Aaron Rosenberg and in the Tokyopop manga short story titled Newsworthy by Grace Randolph in the Starcraft: Frontline Volume 2. Are we going to see Michael Liberty reporting news from the rebels’ side through clandestine broadcasts on the TV screen at the Cantina Room? Metzen: I think Liberty actually does not show up in this campaign. We had talked about it a lot earlier on but because he’s so extreme in his views where he’s so anti-government that we needed leverage, we kind of needed to create a new reporter that was a little more even in the kind of stories that she could report. But I still hold out hope that we’re going to get Liberty in because he’s potentially a really cool character to use. There is an interesting concept played out through the short story Do No Harm by Josh Elder. A Terran Dominion scientist has been capturing Protoss and experimenting with their DNA to create a Human-Protoss hybrid prototype. There have been other previous prototypes, but this one in particular is pretty strong and uses Ghost technology to stealth. The Terran Dominion plans to create an army of these hybrids to protect the core-worlds. Are we going to see a follow-up of this play out into the Single Player? This guy is pretty much the Rexxar of Starcraft. Metzen: I think that one, for now, is kind more of a one-off. I don’t think there’s any plans to follow up on that theme anytime soon in terms of the game itself, in terms of the game story. But I dig that story a lot that I think it’s more of just a really cool story by itself. I remember you said in Blizzcon 2007, there were plans to add a planet encyclopedia into the Star Map where players could have the opportunity to learn some lore about each planet. Is that still the plan? I didn’t get to see much of that in the single player build I just played. Based on the build that you guys have been playing today we’ve pulled back a degree of that. Most of that was a design decision, a UI decision, [where] we wanted the interface to be as clean as possible. The current iteration is very much the one we’re running with barring some minor changes that could happen, but I think we’ve pulled a little bit more away from the grinding Encyclopedia Galactica idea that you were talking about. It just didn’t take the shape that we were anticipating. In this instance I think “less is more”. We’ve still got a lot of lore based on a lot of the planets and their histories and their unique environments and things like that so a lot of that does inform the story and then per some of the blue screens or whatever there’s some data there that gives you a sense of the context of each planet but it probably won’t take as grand a shape as some of the things we were chasing earlier on. In Starcraft: The Dark Templar trilogy, book three: Twilight we learn that Zeratul has been moving from place to place these past four years using the Xel’Naga gateways that are revealed to be spread all across the galaxy. Jake Ramsey and Zamara were stranded in a snowy planet for example, before entering the coordinates to reach a tropical planet where they find Zeratul’s ship. Is it me, or are there breadcrumbs in the novel hinting that we will explore other star systems in the single player by using these Xel’Naga gateways? Metzen: I think at some point it’s reasonable that we’ll use those Xel’Naga gates and explore the unexplored. 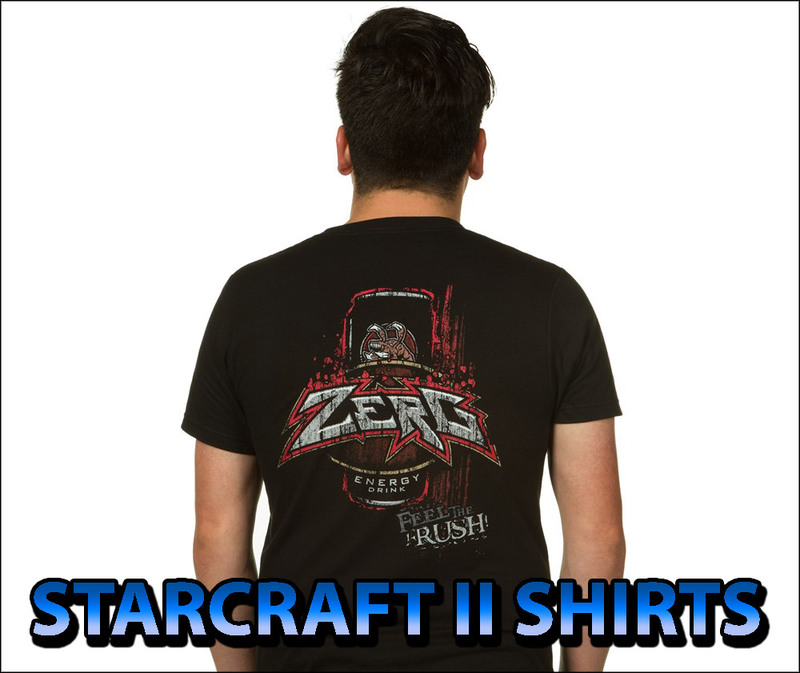 It’s hard to answer in terms of giving anything away for StarCraft II but we wouldn’t have built them [laughter] if we weren’t going to use them. What has been your personal experience trying to cram up all this lore from the novels, the manga and the comic book into the single player as one solid integrated continuity of the Starcraft universe? We know that you had to split the Starcraft II single player game into three separate episodes: Wings of Liberty, Heart of the Swarm, and Legacy of the Void to fit all the lore. Metzen: Right. How do I respond. I think we haven’t gone out of our way to cram all the lore from comics and all that stuff into the game. Really we’ve been building the game’s story for so long that things like the Dark Templar trilogy or all the things you see in the manga really have just kind of organically spun out of what we were building anyway. The trick to StarCraft II now being in these three installments is that there was a lot to play with in the first place. We had 10 years worth of expectations and stories we wanted to chase and arcs of these characters that we wanted to explore. So we came packing with a lot of ideas, and the idea of separating each of these chapters into their own boxed product essentially allows us to really round out each race’s stories without having to throw a bunch of stuff out. We actually get to say everything [that] we set out to say in terms of story and we’re very proud of how Wings of Liberty has come off and I love the ending. I can’t talk about it, obviously, but I really love Raynor’s arc and I feel everything [that] we wanted to engineer into his great journey – in his way, his redemption for what he feels are past mistakes – I really feel that we got all that in there. While it might start on a bit of a lower note, this is not necessarily a super human guy at the height of his game at the start of the game, he definitely finds his feet very quickly and becomes the man we need and expect him to be over the process of Wings of Liberty. It’s just been very cool to see all that come together and have all the other Ancillary lore really inform the story as its taking shape as well. Special thanks to Chris Metzen, Shon Damron, CW, Karune and Bob Colayco for inviting me to this single player press event. And to Troglodyte from StarcraftWire.net for compiling the transcript.